This brings an entirely new meaning to the phrase "picture perfect." Before British newlyweds Aimee Maiden, 25, and Nick Wheeler, 26, got married, the couple rifled through old photographs at the groom’s grandparents’ home and came upon a gem they never would have expected, the Telegraph reported. 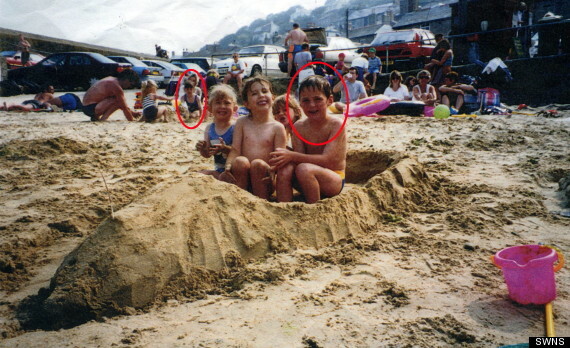 They found a photo taken in 1994 of Wheeler building a boat in the sand with his sister and cousins in Mousehole, Cornwall, where Maiden grew up. In the backdrop, Maiden can also be seen playing at the beach with her family. What’s particularly striking about this happenstance is that Wheeler lived nowhere near the area. 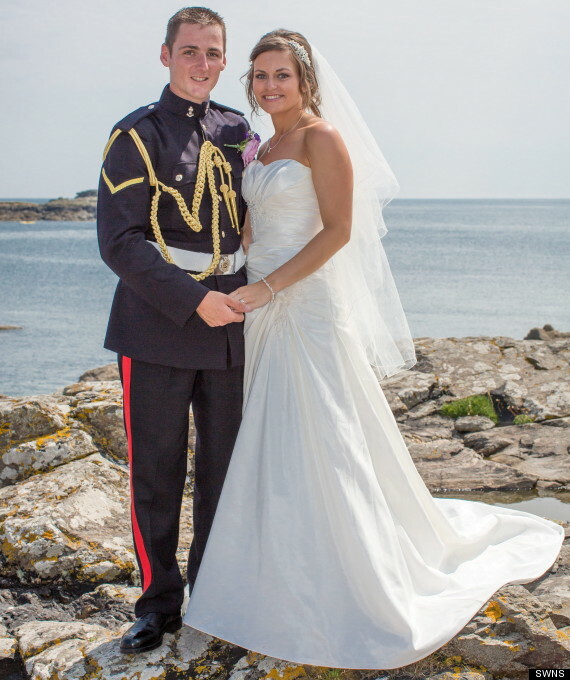 The groom is originally from Kent, which is about 300 miles away from Mousehole, and was spending time there with his family on vacation. The two eventually officially met in college and got married on Saturday at the Gulval Church, just steps from where the original photo was taken two decades before their wedding day. But this isn’t the first time a married couple has made such an unlikely discovery. A week before their wedding, Alex and Donna Voutsinas found a photo of themselves when they were little kids in 1980 -- 15 years before they would meet. The image shows Donna’s family posing with Mr. Smee and Alex being pushed in a stroller in the background, the Star reported in 2010. The two were actually living in different countries at the time. "It just blew our minds when we realized," Alex Voutsinas, 35, told the Star. CORRECTION: An earlier version of this story misidentified a Disney character. The error has been fixed. The date when Alex and Donna Voutsinas' photo was taken has been clarified, and details have been added about their story.